Since the publication and cinematic success of 1992's Along Came a Spider, James Patterson seems to have taken up permanent residence on the bestseller lists. In the ensuing decade, his hit detective novels, with memorable nursery rhyme titles like Cat and Mouse, (1997) and Pop! Goes the Weasel (1999), came in rapid-fire succession and generated similar popularity and praise. His Alex Cross series created one of the most recognizable detectives in literature, and one of the first urban African American detectives to appeal, on such a grand scale, to audiences of all demographics. With full literary analyses of ten of his most popular works of fiction, this critical companion offers readers a chance to more fully explore Patterson's writings. Beginning with his 1976 bestseller The Thomas Berryman Number and moving chronologically to 2002's 2nd Chance, each chapter examines elements of plot, character development, theme, and critical perspectives. A full chapter offers a delving biographical study of Patterson, including a brief timeline, that traces his early literary and personal interests and later professional achievements. Another chapter discusses the genres of detective and mystery writing, and situates Patterson 's contributions within this framework. 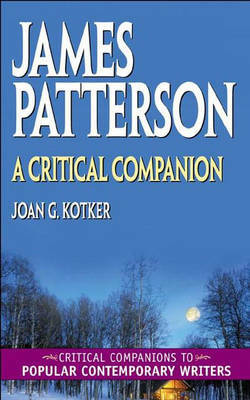 Patterson's sociological writings are also considered. Whether for personal pursuits or school assignments, this volume provides ample insight and extensive bibliographic information on Patterson's work, including critical sources and reviews.